We are in Peru, a fantastic playground for high mountains. 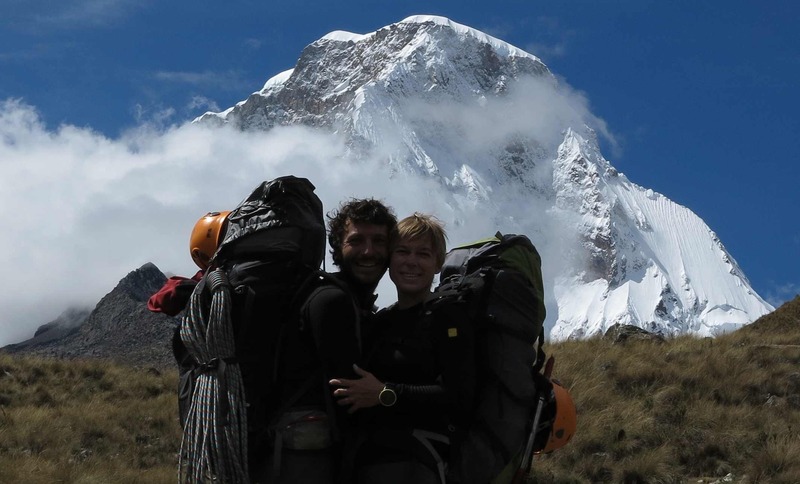 We climbed Nevado Pisco (5752 m) and saw the most magnificent panorama of our lives! Now we are on our way to Lima for some more Pisco Sour and a few museums before heading down to Cuzco and Macchu Picchu. Portrait with Huascaran Norte in the background. This entry was posted on Tuesday, November 20th, 2012 at 9:33 pm	and posted in Uncategorized. You can follow any responses to this entry through the RSS 2.0 feed.